- Replace the boot.img with Q-Smart S12 boot.img (you can do it by dragging-dropping the boot.img without extracting the zip file. - Copy the ROM (which you have replaced the boot.img with yours) to your SDCard (not in folder, but in the root of your sdcard). 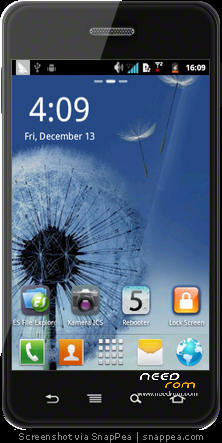 - Get in your phone to Recovery Mode (CWM Recovery). 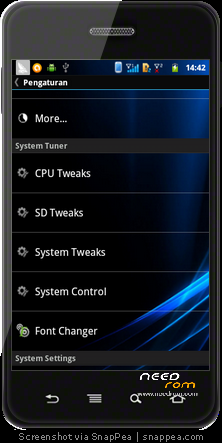 - After backing up your system, then wipe data, cache, dalvik cache, and battery stats directly from Recovery Mode. 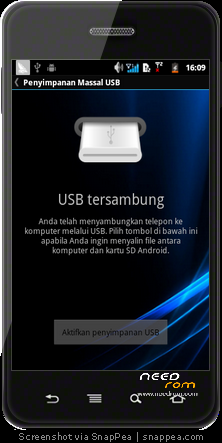 - Choose "Install ZIP from sdcard, then locate the file. - Reboot your phone patiently, the first boot takes a while. Please do it with your own risk. I make you sure that by backiung up your system before flashing the rom will avoid you from unnecesarry frustration. If you get bootloop, please comment it here. Again, DO IT WITH YOUR OWN RISK. 2. Go SMS Pro as defaul messaging app. 5. Network works so good. 8. 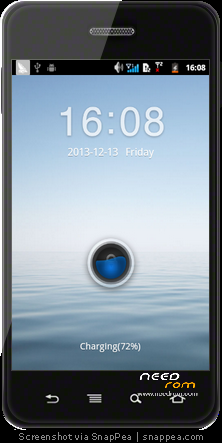 Cool Screen Locker (you need to set the theme yourself). 9. Intergated with Beats Audio.